You can change the task order by using drag and drop. 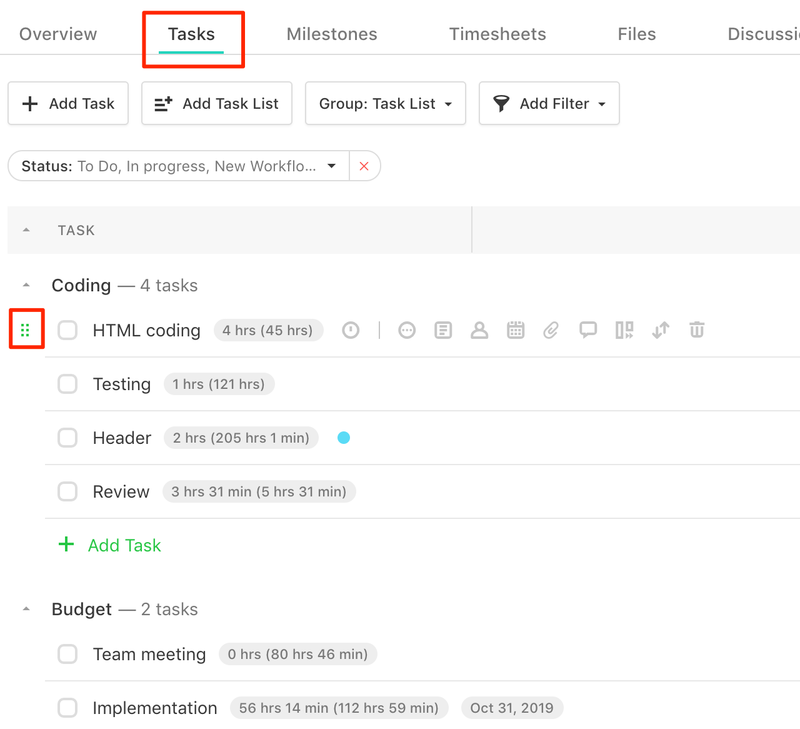 If you hover over a task, you will notice six dots on the left side and once you move your mouse over them, an arrow will appear and you will be able to change the order of the tasks or move them to a different task list in the same project. Task lists can be re-ordered by using the same principle and if you wish you can also move tasks to a different project.